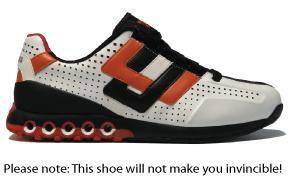 Parkour Shoes - first specifically designed parkour shoe! The k-Swiss Ariake is the first shoe inspired by and specifically designed for Freerunning. Bold, Technical and fashionable the k-Swiss Ariake ,the design of the shoe utilises the insight of the activity from some of the world’s top Freerunnners, to produce something that’s not just fashionable but also highly functional. The ariake is made of single piece that is virtually impossible to break, with a revolutionary outsole designed for running coupled with K-Swiss shock spring technology to cushion the feet and knees. It also has an advanced heel grip and sticky rubber sole that will give Freerunning extra stability when tricking along hidden pocket for tucking away laces to avoid tripping.